I’ve been on both sides of the poverty line, and I can unequivocally state that this country’s welfare system needs to change its direction. After one pensioner crowdfunded her rent and made it to social media, it highlighted a growing problem with our ageing population. They’re broke. Turnbull government has quietly started to reform the welfare system, as they look to save money by introducing one universal payment, regardless of the recipient’s situation. With the government set to finally amend Centrelink’s debt recovery system, the question should not be about future prevention but fixing the immediate damage. Is the welfare question a rhetorical one? Social Services Minister Christian Porter recently copped flak for his “unfeeling” response to increasing welfare payments. But is he right? As a welfare recipient, Scott Morrison’s latest crackdown measures makes me feel as if I’m guilty until I prove myself innocent. Have an outstanding debt to Centrelink? Border Patrol and the Department of Immigration may stop you at the departure gate. The healthy welfare card – a necessary evil? 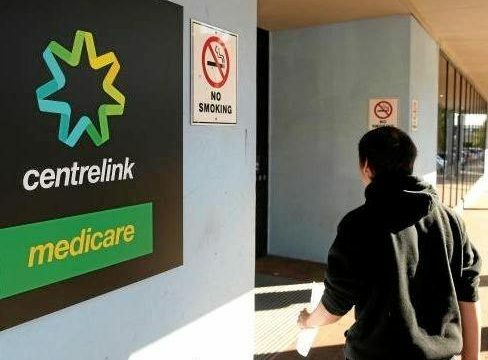 Ugur Nedim details the Abbott Government’s plan to roll out a “healthy welfare card” scheme and questions whether such a scheme will actually benefit the underprivileged. Michael Burrill’s no fan of Twiggy’s new welfare scheme – if the government really wants to reduce the instances of alcohol and drug abuse, the policy ought to address its underlying causes. Welfare: How do we stop “breeding” the cycle of dysfunction? Rainer the Cabbie is all for an equitable society, but when long-term welfare users turn into, well, fare dodgers, it’s time to fix the system. A frustrated Belinda Marsh doesn’t hold back as she takes aim at Centrelink in this week’s Top Five.